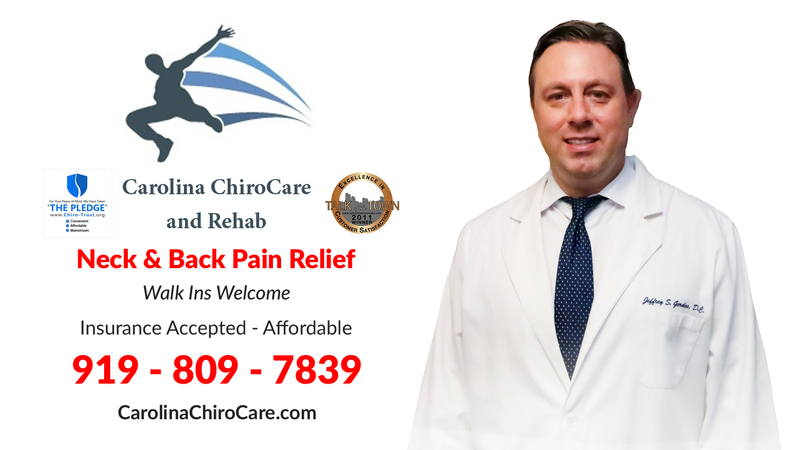 Dr. Jeffrey S. Gerdes D.C.
At Carolina ChiroCare and Rehab our office utilizes the most advanced chiropractic medicine available today. Our chiropractic technique is a non-surgical and non-invasive procedure. If you are suffering from a bulging or herniated disc, migraines, whiplash, spinal stenosis, sciatica, arthritis, headaches, auto accident or sports injury our interventional pain management and chiropractic spinal care can help alleviate those problems.